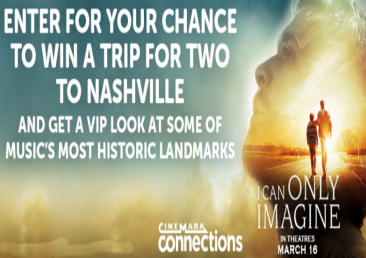 Cinemark’s MercyMe Nashville Sweepstakes – Win a trip to Nashville! Win a trip to Nashville and $1,000 spending money! ENTRY LIMIT – Limit: One (1) entry per email/household during the Promotion Period. ELIGIBILITY – Cinemark’s MercyMe Nashville Sweepstakes is open only to legal residents of the fifty (50) United States and the District of Columbia who are at least eighteen (18) years old at the time of entry. SWEEPSTAKES ENTRY PERIOD – The Sweepstakes begins on February 16, 2018 at 12:00 a.m. Eastern Time (“ET”) and ends on March 25, 2018 at 11:59 p.m. ET. PRIZES – ONE (1) GRAND PRIZE: A trip for two (2) to Nashville, Tennessee for a weekend in or around June 2018. Trip package includes round trip, coach-class air transportation for two (2) from a major airport near winner’s home (determined by Sponsor in its sole discretion) to Nashville, TN; two (2) consecutive nights’ accommodations at a hotel determined by Sponsor in its sole discretion (one (1) standard room, double occupancy); two (2) tickets to a show at the Ryman Auditorium (all details determined by Sponsor in its sole discretion); the opportunity for two (2) for a “meet and greet” lunch with Bart Millard of the band MercyMe (all details determined by Sponsor in its sole discretion); $1,000 spending money awarded as a check; and travel agent services. Approximate Retail Value (“ARV”): $3,680. 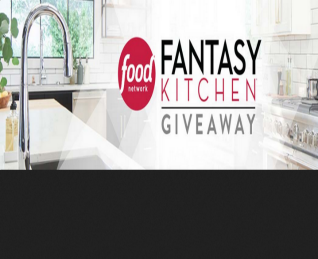 Food Network Fantasy Kitchen Sweepstakes 2018 – Win $250,000! You may also enter at the Genius Kitchen Sweepstakes page. SWEEPSTAKES ENTRY PERIOD – Beginning at 9:00 a.m. Eastern Time (“ET”) on February 22, 2018 until 5:00 p.m. ET on April 16, 2018. PRIZES – The Grand Prize Winner shall win the following (the “Grand Prize”): $250,000 presented in the form of a check. Approximate retail value (“ARV”) of the Grand Prize: $250,000. Albert Bartlett St. Patrick’s Day Sweepstakes – Win a trip to Ireland! 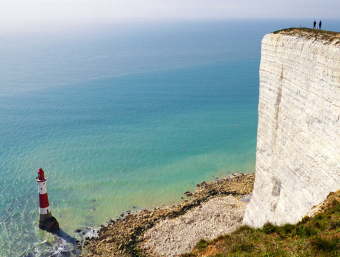 Win a trip for two to Dublin, Ireland! 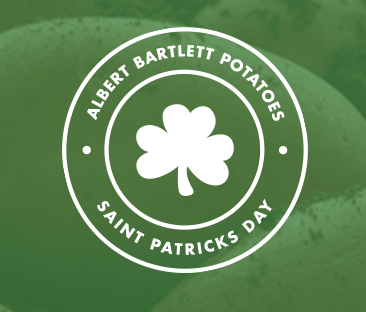 ENTER SWEEPSTAKES HERE – Albert Bartlett Potatoes Sweepstakes page. ENTRY LIMIT – Limit: One (1) Entry per person per day regardless of whether entrant has more than one email address. ELIGIBILITY – The Sweepstakes is open to legal residents of the 50 United States, including the District of Columbia, and Canada (excluding Quebec), ages 21 or older at the time of entry. SWEEPSTAKES ENTRY PERIOD – The Albert Bartlett St. Patrick’s Day Sweepstakes begins at 12:00:01 AM Eastern Time (“ET”) on Thursday, February 1, 2018 and ends at 11:59:59 PM ET on Saturday, April 7, 2018. PRIZES – One (1) Grand Prize winner will receive a trip for two (2) people, Grand Prize Winner and one (1) guest, to Dublin, Ireland. -Car rental for duration of stay. Rental car portion of prize may only be available if winner or his/her travel companion is 25 years of age or older and has a full valid driver’s license. If winner or winner’s guest are both under the 25 years of age and/or do not have a valid driver’s license, the rental car portion of the prize will be forfeited and no other compensation will be provided. The ARV of Grand Prize is: $6,500 USD. The ARV may vary based upon dates of travel and point of departure. The difference between the ARV and actual value of the Grand Prize will not be awarded. Trip must be taken by 3/31/19 or prize will be forfeited in its entirety. The prize package will be awarded within approximately 45 days after the winner is verified. 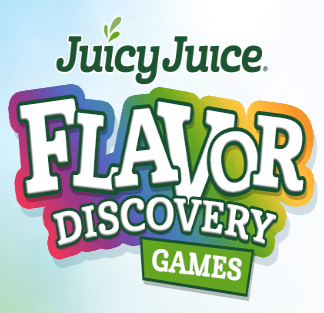 Juicy Juice® “Flavor Discovery” Instant Win Game – Win a $40 gift card! Win a $40 pre-paid card (85 winners)! ENTER SWEEPSTAKES HERE – Juicy Juice Sweepstakes page. ENTRY LIMIT – Each Entrant may use only one (1) e-mail address to participate in this Game, and such e-mail address may be used by only one person regardless of whether the e-mail address is shared by two or more people. ELIGIBILITY – The Juicy Juice® “Flavor Discovery” Instant Win Game is open to all legal residents of the 50 United States (including D.C.) who are 18 years of age or older or the age of majority in their jurisdiction of residence, whichever is greater, at time of participation. SWEEPSTAKES ENTRY PERIOD – Sweepstakes begins at 5:00 p.m. ET on February 5, 2018 through 11:59:59 p.m. ET on April 30, 2018. PRIZES – There will be eighty-five (85) prizes (one (1) per day of the Game Period), each consisting of a $40 pre-paid card. Approximate Retail Value (“ARV”) of all prizes: $3,400.00. “All Aboard! 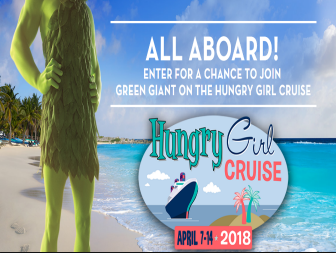 Join Green Giant on the Hungry Girl Cruise” Sweepstakes – Win a cruise for 2! 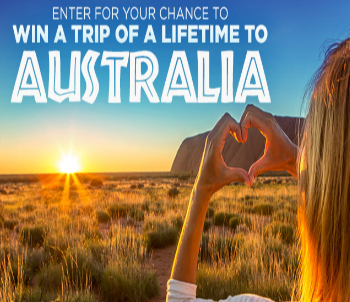 Win a cruise for 2! ELIGIBILITY – The Sweepstakes is open to legal residents of the fifty (50) United States and the District of Columbia, who are 21 years of age or older as of the Sweepstakes start date. SWEEPSTAKES ENTRY PERIOD – The “All Aboard! Join Green Giant on the Hungry Girl Cruise” Sweepstakes begins at 12:00 p.m., Eastern Time (“ET”) February 12, 2018 and ends at 11:59 p.m. ET on February 28, 2018. PRIZES – One (1) Grand Prize winner will receive a Hungry Girl Cruise for two which is taking place April 7 – 14, 2018 aboard Holland America’s ms Nieuw Amsterdam. This prize package includes seven (7) nights’ accommodation for two (2) (one stateroom, double occupancy) along with two (2) round-trip tickets from the major gateway airport nearest the winner’s residence to Ft. Lauderdale, Florida (not to exceed $600 per person). More information on the Hungry Girl Cruise can be found online at http://cruise.hungry-girl.com. The Approximate Retail Value (“ARV”) of the Grand Prize is $4,200. The Grand Prize winner and their companion are responsible for: any and all costs, expenses and taxes not expressly described herein including, but not limited to, transfers to the ship, shore excursions in the various ports and onboard services including sodas, alcoholic beverages, bottled water, phone calls, Internet access service, spa treatments, laundry/dry cleaning, professional photographs, casino gambling, gratuities and obtaining sufficient personal travel insurance prior to departure, if desired. Gratuity fee is $13.50 per person/per day which will be charged to the Grand Prize winner’s onboard account at the end of the cruise by Holland America. The Grand Prize winner and his/her travel companion must travel together on the same itinerary and each are responsible for securing valid passports and/or any additional required travel documents at their sole expense prior to travel. Actual value of the Grand Prize may vary depending on exact travel itinerary and any difference between the stated ARV and actual value of the Grand Prize will not be awarded. The Released Parties are not responsible if the Grand Prize, or any part thereof, cannot be awarded due to cancellations, delays or interruptions for any reason. Cruise must be taken April 7 – 14, 2018. 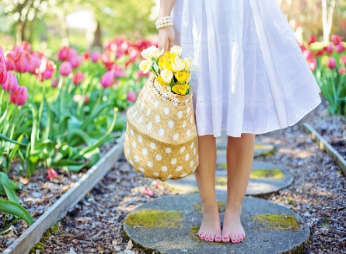 Quicken Loans Zing Bring on the Spring Sweepstakes – Win $4,000! ENTRY LIMIT – Limit of one (1) Entry per person/email daily. ELIGIBILITY – The Zing Bring on the Spring Sweepstakes is open to: legal residents of the fifty (50) United States and the District of Columbia, who are at least eighteen (18) years of age or older, all at the time of entry. PRIZES – Grand Prize (1): One, 1) Grand Prize winner will receive one (1) $4,000.00 check made payable to the winner. Approximate Retail Value (“ARV”): $4,000.00. Second-Place Prize (1): One (1) Second Place winner will receive (1) $500.00 check made payable to the winner. ARV: $500.00. 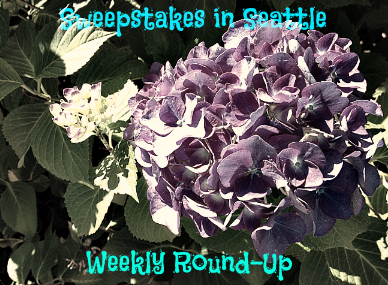 Sweepstakes in Seattle Weekly Round-Up 2/18 – Win $100,000, an exotic trip, gift cards & more! Is it spring yet? I so wish it were spring! We’re having cold weather and maybe some snow today and this week. I am not a cold weather person at all. The only really good thing about cold weather is, it’s a great excuse for a cup of hot cocoa. So, if it’s cold where you are, grab a cup of hot cocoa and enter some sweepstakes. Who knows, maybe you’ll win a trip to somewhere warm! Let me know if you won a prize recently and I’ll share it on the next weekly round-up! DeAnn won a Fandango promo code from the Brisk ‘Black Panther’ IWG! Brisk “Black Panther” Instant Win 2018 Sweepstakes – Win a promo code to see “Black Panther”! Win a Fandango Promo Code to see Black Panther in theaters (1,000 winners)! ENTER SWEEPSTAKES HERE – Brisk Sweepstakes page. ELIGIBILITY – YOU MUST BE A LEGAL U.S. RESIDENT RESIDING IN ONE OF THE 50 UNITED STATES OR THE DISTRICT OF COLUMBIA THROUGHOUT THE PROMOTION PERIOD AND 18 YEARS OF AGE (19 in AL or NE) OR OLDER AT THE TIME OF ENTRY TO BE ELIGIBLE TO WIN. 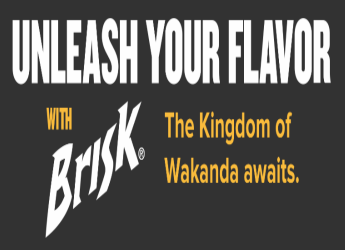 SWEEPSTAKES ENTRY PERIOD – “BRISK® BLACK PANTHER™ INSTANT WIN 2018 NATIONAL PROMOTION”. Promotion begins January 26, 2018 at 12:00:00 A.M. Eastern Time (“ET”) and ends March 9, 2018 at 11:59:59 P.M. ET. PRIZES – One thousand (1,000) Instant Win Grand Prizes will be awarded, each consisting of one (1) $15 Fandango Promo Code* to see Black Panther™ (each, a “Grand Prize”). Actual retail value of each Grand Prize (“ARV”): $15. Any difference between the actual cost of the movie and the ARV will not be refunded. Grand Prize is only eligible for the Black Panther movie.